N.E.W.S Travel, Award Partner have received a mandate from LIYSF 2012 to select & send 35 students & 3 faculty members to the London International Youth Science Forum (LIYSF) to be held in London between 16th & 30th August 2012. 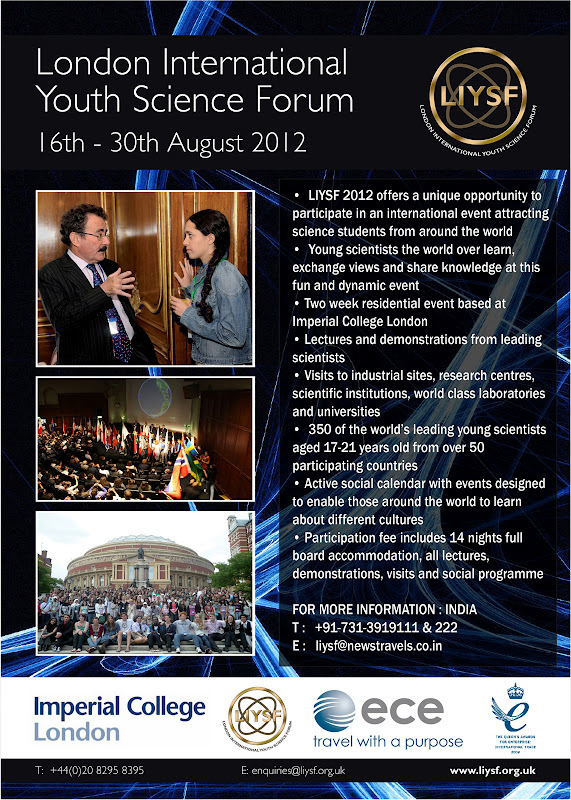 LIYSF, is a two week residential forum that attracts over 350 of the world’s leading young scientists, aged 17-21 years old, from more than 60 participating countries, including the top prize winners from the European Union Contest for Young Scientists 2011. Accommodation is in London University Halls of Residence. Meals are provided throughout the Science Forum and free travel to all scientific visits and programmed events. For two weeks, the participants live together as an international community can exchange their ideas and experiences of the world to fulfill the aim of the Science Forum: to give a greater insight into science and its application for the benefit of all mankind. The Forum is endorsed by the U.K. Prime Minister & is supported by the highest echelons of learning in the UK such as the Imperial College, London. As one of the participants remarked, "..a unique opportunity to meet and get to know a great deal of incredibly talented people from around the world. People who you know will one day be making a difference to all areas of science"
LIYSF 2012 Visit and Speaker Line-up Getting Hotter! UNIQUE VISITS- World famous academic institutions, scientific organisations, laboratories and centres open their doors to LIYSF students to see behind the scenes. LIYSF students get the rare chance to meet scientists in small groups and get a close hand look at the work they do. Choose the visit that is most suited to your interests and tailor your own programme. Visits already confirmed include Airbus, The National Physical Laboratory, Department of Chemical Engineering – Imperial College London, Rothamsted Research Centre, UCL Mullard Space Science Laboratory and The Culham Centre for Fusion Energy to name a few. LEADING SCIENTISTS SPEAKING- Check out our regularly updated EVENTS DIARY to see the leading scientists that will be joining our lecture programme for LIYSF 2012. Professor Sir Roy Anderson, Professor of Infectious Disease Epidemiology at Imperial College London will open LIYSF. Other confirmed speakers include; Professor Steve Cowley – Director of Culham and Chief Executive Officer of the United Kingdom Atomic Energy Authority, Dr Aravind Vijayaraghavan – School of Computer Science, University of Manchester, Professor Sam Evans – School of Engineering, Cardiff University, Dr Peter Douglas – School of Engineering, Swansea University and Dr Andrew Hanson – Outreach Manager, National Physical Laboratory. The Forum is conducted throughout in English and participants should have a good knowledge of the language. 1) The number of participants is capped country wise & the indicated numbers are the maximum that they will allow from India. 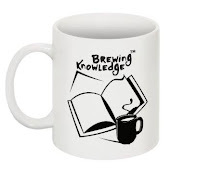 3) The Registration to the Forum closes on 31st March, 2012. 3. The full programme of Lectures, Seminars and Visits (including transport in and out of London), together with the social programme, maps and other necessary documentation. As a matter of fact we have factored in all the OPTIONALS in the package as such any student from India will NOT be required to pay anything over & above the indicated cost. This is ordinarily being offered to any institution that can commit 5 or more students for the Forum & is considered on a first come first served basis.